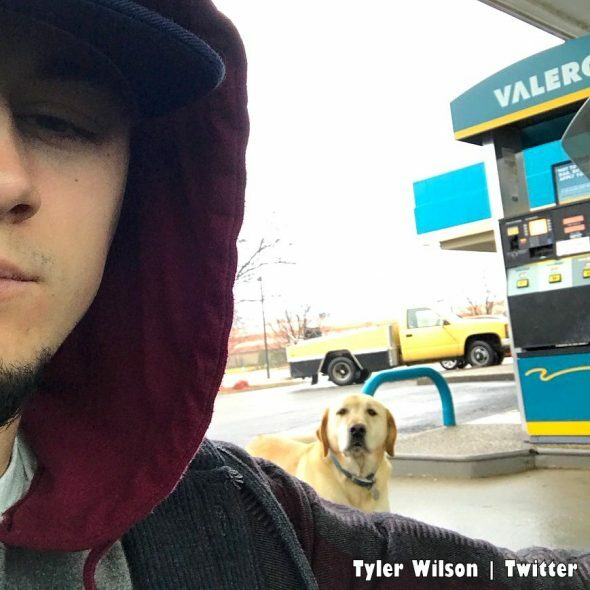 Tyler Wilson was pumping gas at a Valero when he saw the aimless dog, who was friendly enough to allow him to approach and check his collar for identification. 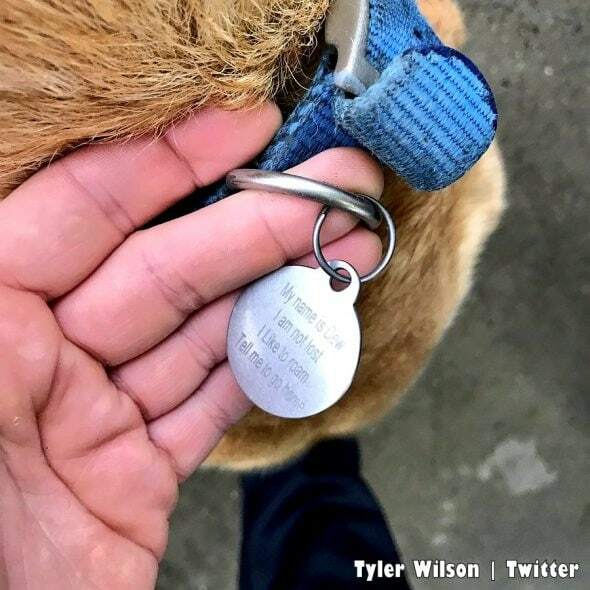 One would expect to see a phone number, or an address – something – but instead found a short message inscribed. 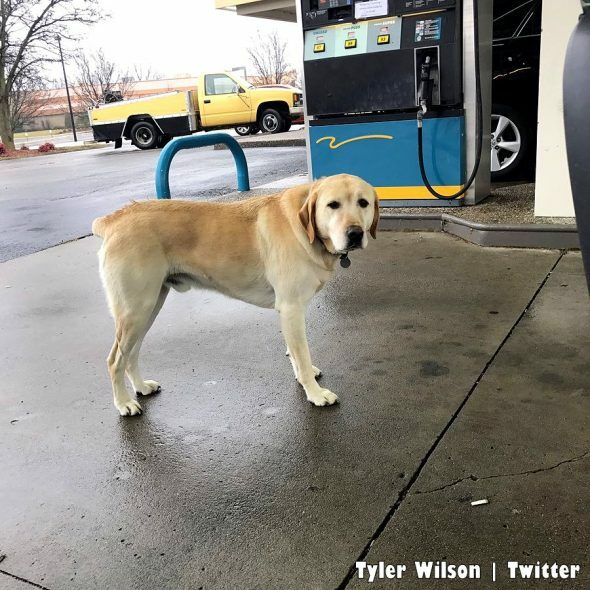 “Dew just likes to adventure,” the Louisville man said on Twitter. How comical! 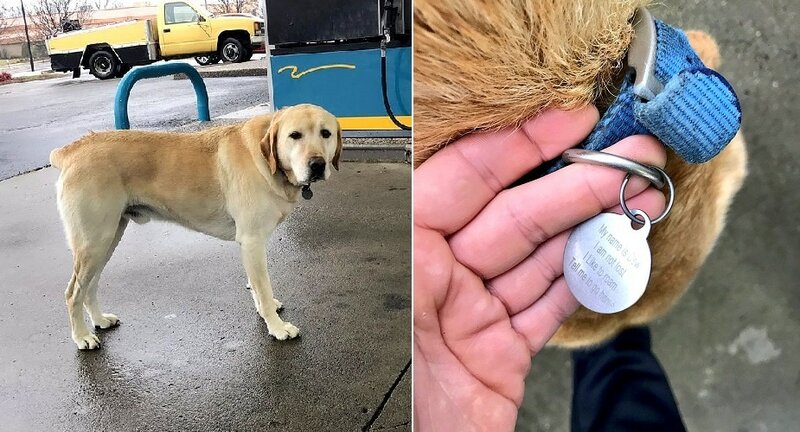 He did indeed to tell the dog to go home, and that’s likely where he went. 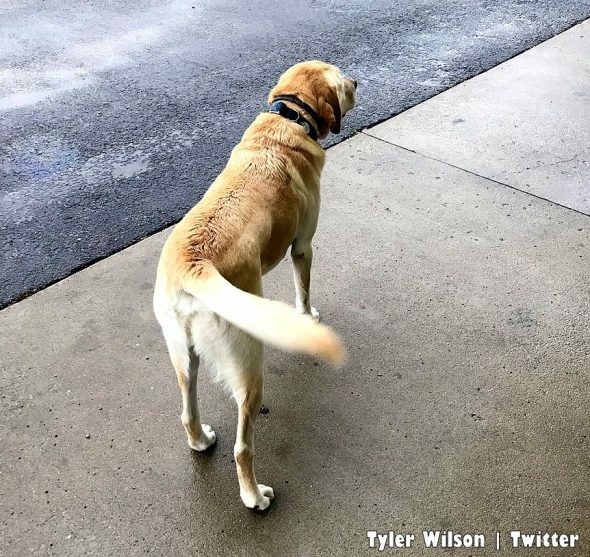 Wilson’s tweet went viral, and people expressed their wishes for him to find Dew again. 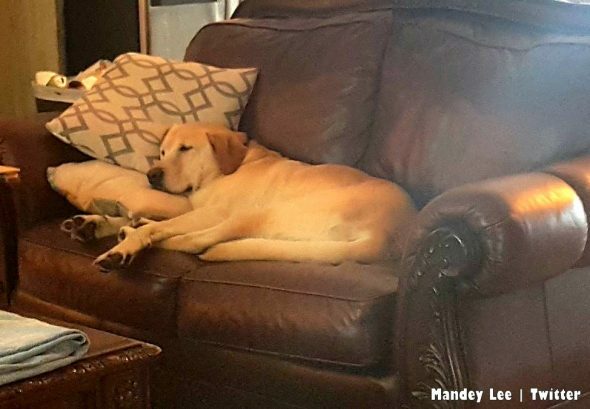 Another family member posted other photos of him, and now Dew even has his own Twitter account! Hopefully Dew lives in a relatively unpopulated part of the area, where life (and traffic) move more slowly. 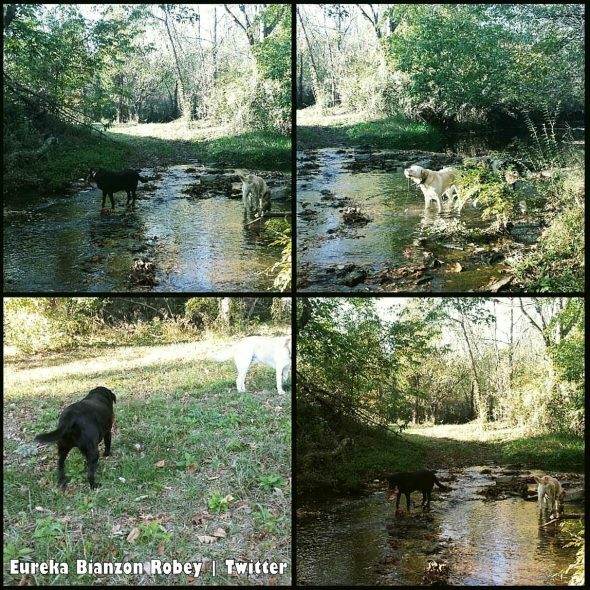 We certainly do not suggest that people allow their dogs to take themselves for walks, as any number of dangerous things could happen to them. Please just try to enjoy a cute story.